If you want it floating，you need fill it with helium or hydrogen. Packing: 3pcs/pack (pink marble, white, translucent) A gold ribbon(5m), A pack of confetti, A gold color sticker. Size: 12 inches in diameter. Packing: 3pcs/pack (Pink Marble, Purple, Translucent) A gold ribbon(5m), A pack of confetti, A gold color sticker. It can be used for valentine's day, courtyard, living room, camping picnic, room décor, theme party, wedding guide and decoration. 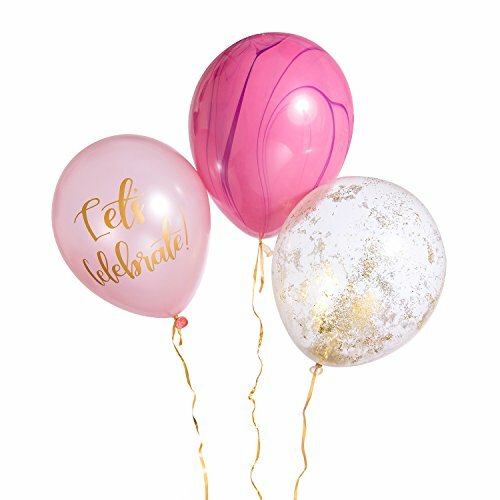 You can write down the blessing words on the balloon. © 2019 - balsacircleblog.com. All Rights Reserved.